Our New Community Center is Open! On January 11, 2012, Calcutta Kids opened a new community center – called Maa o Shishu Siksha Kendra (Mother and Child Learning Center) in the community of Fakir Bagan.Although the other Calcutta Kids facilities are extremely close to the slum neighborhood, this is the first center located directly within the community. Calcutta Kids plans to utilize the space for the monthly Growth Monitoring and Promotion program, for community meetings, and for mothers’ support groups, among other things. Mothers, children, and community leaders supported Calcutta Kids at the ribbon cutting ceremony. 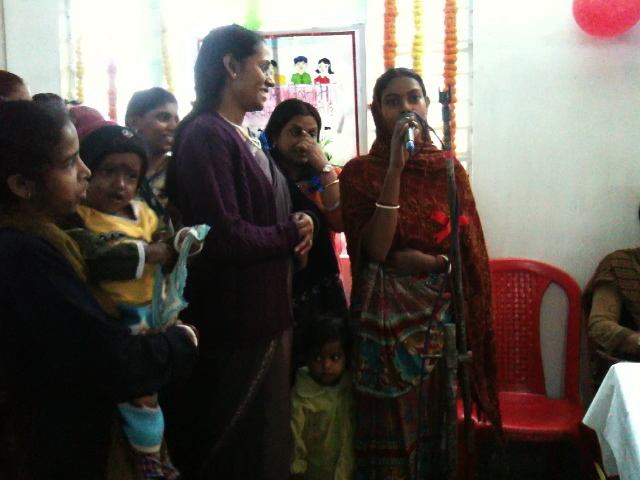 At the event, numerous mothers spoke about their appreciation for and success because of Calcutta Kids’ services. Noah Levinson, Calcutta Kids’ Director, said that this was the beginning of a new era for Calcutta Kids, an era where the community would play an important role in defining and directing our programs.